A hike within Manhattan city limits may sound like a crazy idea, but with the subway and your own two feet, you can be enjoying the great outdoors within minutes. And there are no excuses for not letting nature be your forefront and allowing the skyscrapers to take to the background for an afternoon. There are trails for all levels of ability and as mentioned above, they are easily accessible. So, head out for a leisurely stroll, get in a quick workout, or if you're feeling up for more of an adventure, you can head out a little farther and find untouched nature and great trails to explore. 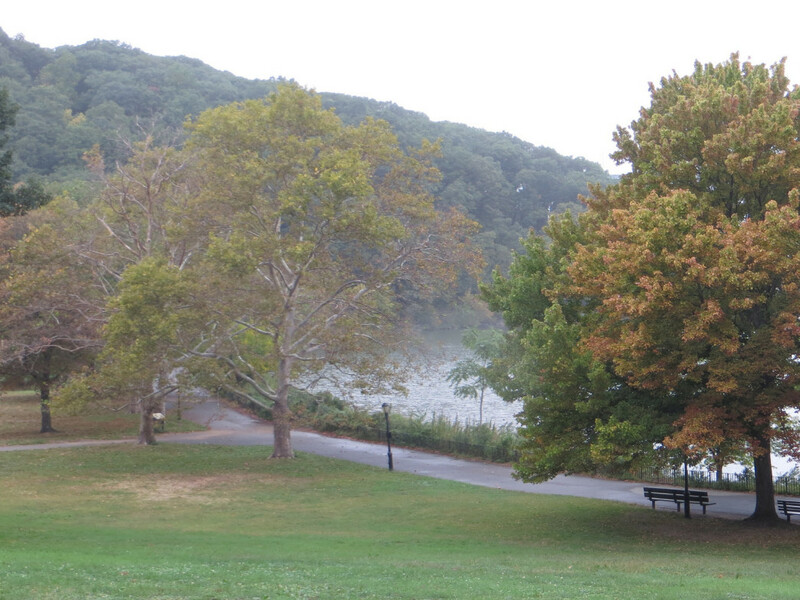 Alley Pond Park is great for all levels of hikers and nature lovers, and it's in Queens, so just hop on the subway and you're there. This is a unique neighborhood park as it is the second largest in Queens. And while it offers all the activities of a typical city park—playgrounds, picnic areas, courts—it also offers a great network of trails for those looking to get into the woods. Some of the trails are tamer than others and range from pavement paths through some of the cooler nature center spots, to plenty of forest singletrack for more advanced hikers to explore. It's a great spot to bring the whole family for an afternoon. 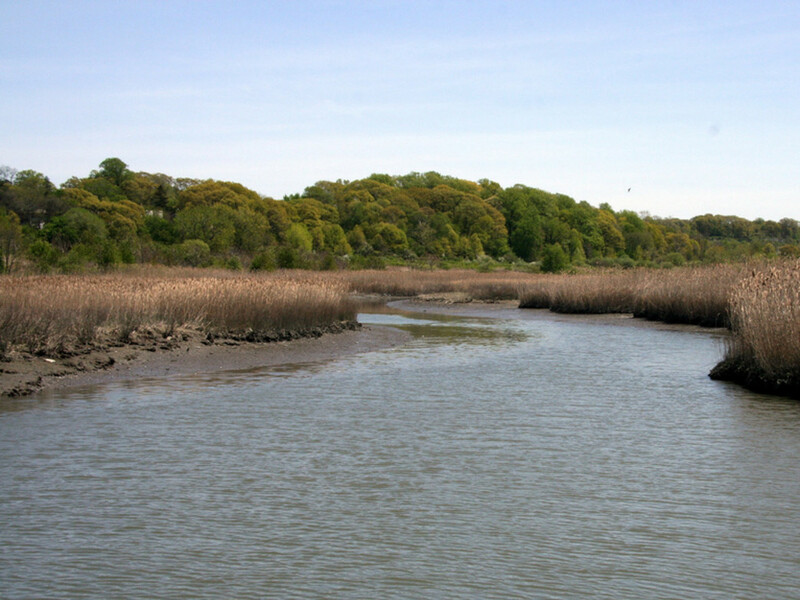 You can enjoy wetlands, forests, and meadows and observe the large variety of birds that make their home here. In addition to its own trails, Alley Pond also links up with Cunningham Park, a great mountain biking destination, that hikers will love for the heavily-forested singletrack. 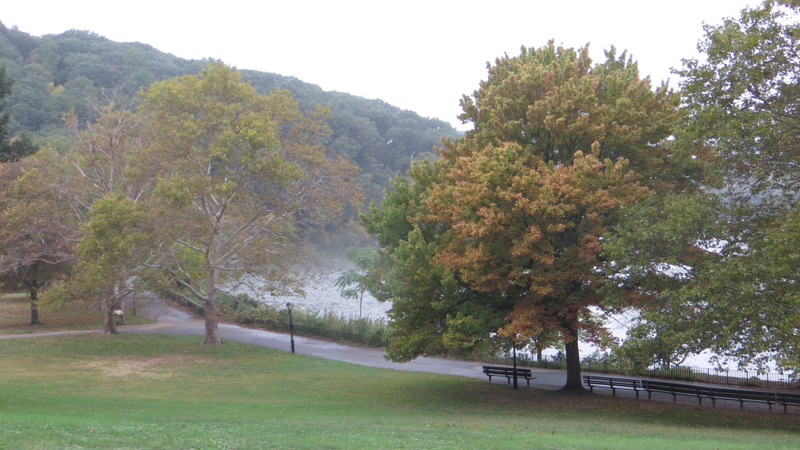 Inwood Hills Park is just north of Central Park at the top of Manhattan. It's full of history and is home to the Hudson River Greenway Bike Path . The trails here range from smooth to technical, but offer something for everyone. Winding singletrack allows great views of the Hudson River and skyscrapers, so it's a bit of a fairyland vibe where you feel completely alone in the middle of nowhere, but you're actually totally surrounded by the hustle of the city. If you still need stairs after hiking around here, Fort Tryon is right nearby for some epic stone steps and the Cloisters right at the top. If you're hoping for a tougher, more technical hiking route, try Sprain Ridge Park , 20 minutes north of the city and just outside the Bronx. The trails here are perfect for mountain biking—advanced mountain biking at that— and while they can be a bit scary for mountain bikers, they are simple enough for hikers, especially if you don't mind taking a couple of hours to do a few short miles of trail. There are enough obstacles to keep you feeling like a real hiker, versus a stroll in Central Park. Lots of downed trees, rocks, and roots make the windy and steep trails perfect for serious hikers stuck in the city. 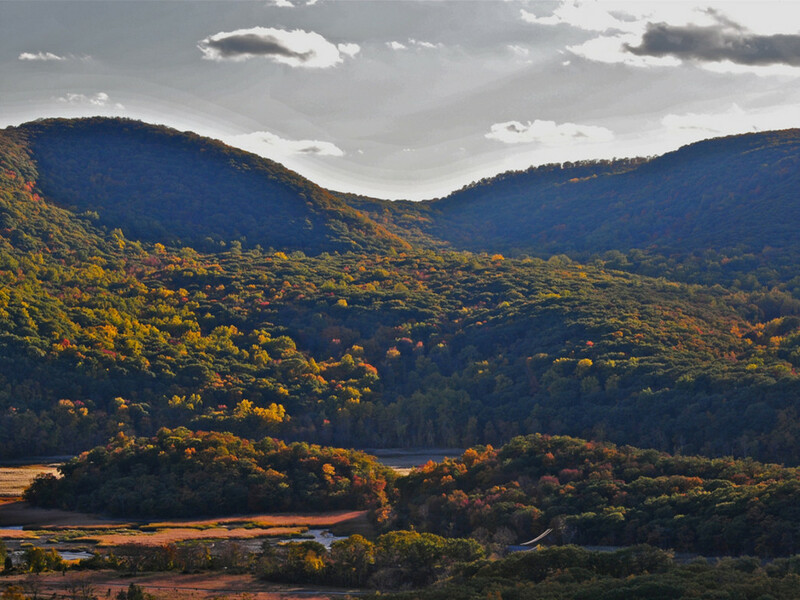 Drive about an hour outside of the city, and find Bear Mountain , which is perfect for hiking. You can even hit the Appalachian Trail as you meander through the mountainous park. In Bear Mountain, the trails range from smooth, paved roads, to more rural fire roads, and, finally, to extremely technical terrain, tons of rocks, and a whole lot of steep pitches. Short loops, long loops, and even the Appalachian Trail are all on the menu. In fact, the area is so perfect for trail running that North Face actually hosts one of their epic off-road races there, with marathon to 50-mile options. Harriman State Park is just next door if that's not enough for you! 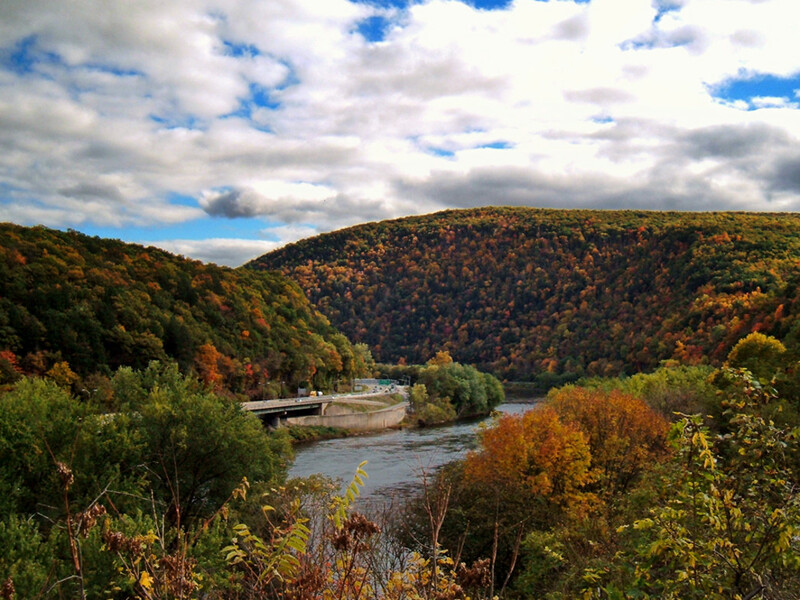 No matter what kind of hiking you’re hoping to do—long, meandering paths; tough, short climbs; brutal technical treks up mountains; trails where you can stop, relax and Instagram like crazy some scenic waterfalls— the Delaware Water Gap , near Philadelphia, PA, has something for every kind of hiker. The best part about the park is that you can bring the entire family, even for a weekend (there’s even a wide variety of styles of camping, from rustic to fairly comfortable), and there will be activities to make everyone happy—even after the long (around 90 minute) drive from the city. The hiking options are as easy or hard as you want, and you’ll tire out long before you run out of new trails to explore. If you’re looking for something a little more challenging than anything you'll find in the city, try the 28 miles of the Appalachian Trail that are contained in the park. Or, for another challenging hike with one of the best views in the Gap head to the Tumbling Falls Trailhead for a three-mile trail marked by orange blazes. It starts near the Pocono Environmental Educational Center and has everything, from an amazing view to the waterfall itself, plus some fantastic forest along the way. It connects to plenty of other trails, so you can choose how long or short you want to go.